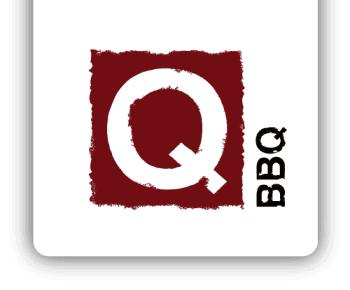 April 5, 2018 (La Grange, IL) - Q-BBQ, a fast-casual Michelin Guide Bib Gourmand-winning restaurant, wins the 2018 Experts’ Choice Award from Trip Expert. TripExpert is a site that brings together professional reviews from travel guides, magazines, newspapers and other respected sources for hotels, restaurants, and tourist attractions from over 85 different publications. The professional reviewers from publications including Zagat and Time Out voted Q-BBQ as one of the best rated restaurants in the Chicago area. Fewer than two percent of the restaurants worldwide receive this award. Q-BBQ is known for authentic BBQ traditions from Memphis, the Carolinas, Texas, and Kansas City. (From left to right) Papa Q Platter featuring a portion of all their smoked meats (plus premium Brisket, Memphis Ribs, and Brisket Burnt Ends), Mix & Match Taco Trio (choose from Pork Belly Burnt Ends, Pulled Chicken or Brisket Burnt Ends), and their succulent Pulled Pork Carolina sandwich smoked up to 12 hours.